I love Mexican food and I love tacos, who doesn’t? Most people I know grew up with the Old El Paso taco kit and in our house it still gets a run from time to time. And despite you now having a plethora of standard, stand and stuff, jumbo and even those cup things sometimes you want something a little different- a soft taco shell… tortillas! I generally don’t make my own tortillas because you can get some really decent ready made corn tortillas from the shops which pretty much just contain corn (nothing else!). and to keep it nice and simple- pick your filling, heat the tortillas up (i do mine in the sandwich press) and away you go. What’s even better is that the majority of them are gluten free so if you are cooking for someone that has a food intolerance/allergy it’s a very easy go to! However from time to time when the mood strikes me I want to make my own. A couple of years ago I looked into it and was really surprised at how easy it was (theoretically) to make your own corn tortillas. All you needed was one magic ingredient- Masa Harina. 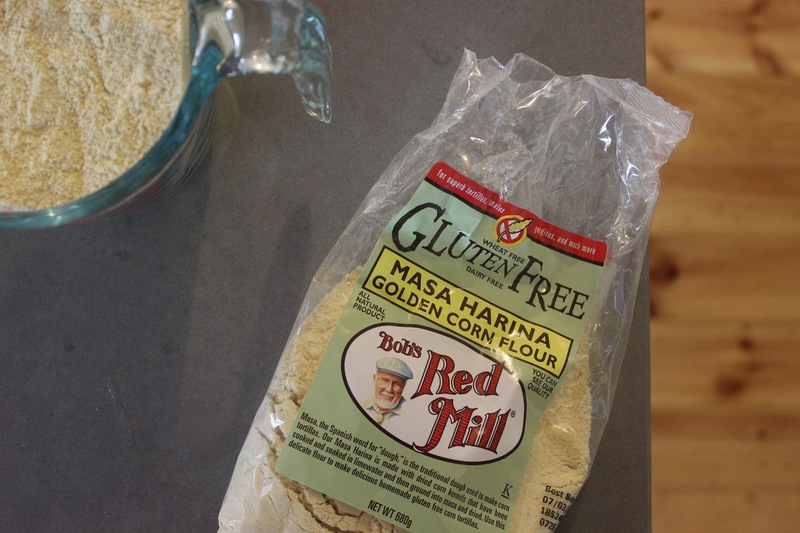 Masa Harina is a milled, dried corn treated with lime- don’t attempt to sub in polenta (which is also corn) because it hasn’t been treated in the same way and won’t soften to make a pliable dough. 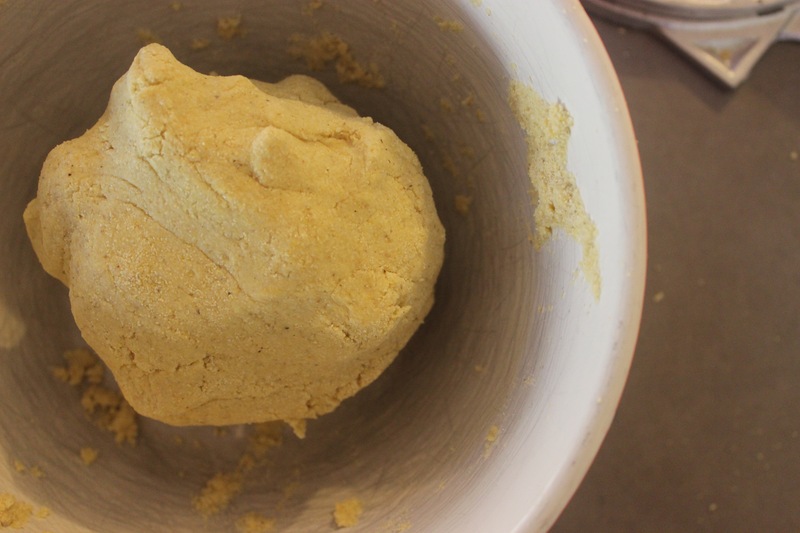 To make your own corn tortillas you mix the Masa Harina with hot water, knead, roll into a ball, rest, portion out, roll out into a circle and cook on the stove- easy! Well so I originally thought when I first made them. They were always edible but could have been better, thinner, more crispy but also pliable etc… Each time that I’ve made them I’ve seen where I can make little improvements here and there. Then let the dough rest for about an hour. However I’m fairly certain that after I took this photo I added slightly more water and kneaded it through- the dough didn’t crack when pressed but I felt it could be a little more ‘play dough like’ in texture. Find a pan that’s nice and heavy heat to a nice heat and pop a tortilla on for a minute or two on each side and hopefully you have some nice charry bits on each side- store in a tortilla warmer or in tea towels- you must keep it in a steamy environment because then they start to soften and become nice and pliable. Which brings me to my latest attempt with one additional kitchen accessory, a few more tweaks needed but much more success. So now I had the dough sorted, the right press method (for the most part) but cooking method could be improved. Before Christmas I was in a heavenly home wares store and I found a comal. 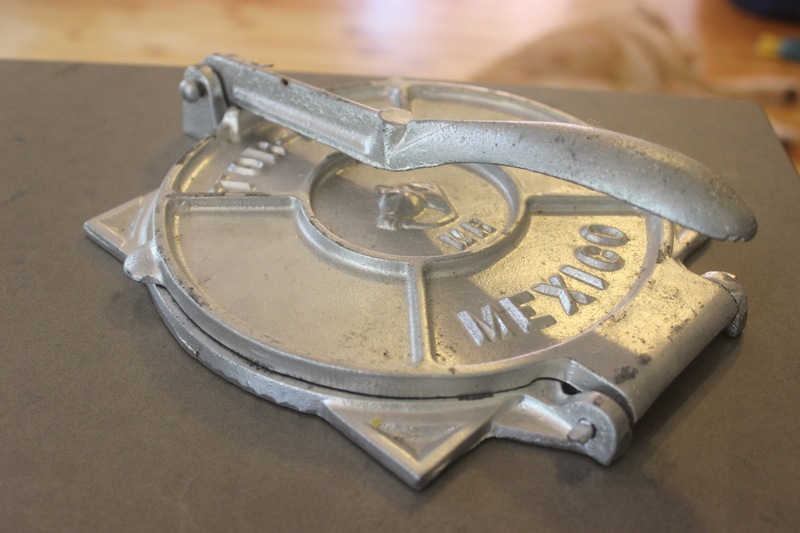 This is a nice and heavy flat pan that can be used to cook tortillas amongst other things. If you have a cast iron pan (which I don’t) this is the same equivalent in my mind. Was a decent price so I purchased it and knew that I had to give it a go soon. Which brings me to the other week- dragged the pan out and seasoned it and got ready to roll in making tortillas. Got the pork on early for the filling (sooooo good and see previous post for this) Made the dough as described above. Then dragged out the press- but with one slight change. I read on a post that someone had used zip lock sandwich bags on their press. Pulling a couple out of the cupboard I stretched one over each plate and got ready to pinch out the doll and press out the circles. MUCH easier method with the sandwich bags rather than the glad-wrap- however still needed to further roll out to make them a little thinner. They puffed up and charred really nicely- and after sitting in the tortilla warmer softened up beautifully. These were really really good if I do say so myself. I did read that you could reheat the next day but…. nah weren’t that flash so that won’t be a go in the future but making them this way certainly will. Now after typing this all out I’m quite hungry for a taco(s)! How about you?